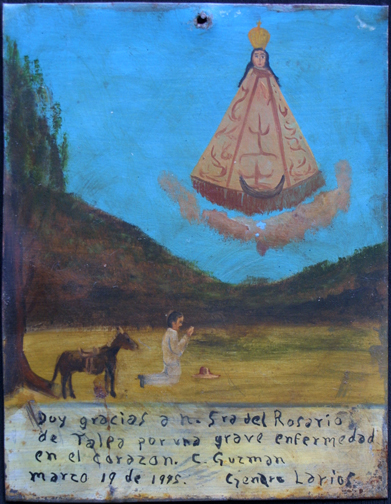 Spanish Translation: I give thanks to our Lady of the Rosary for saving me from a serious illness in the heart. C. Guzmon. March 19, 1945. 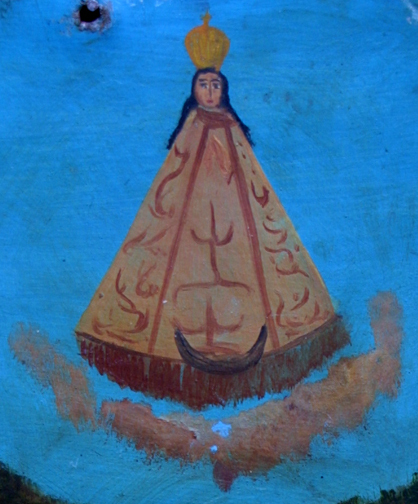 Gendro Larios.